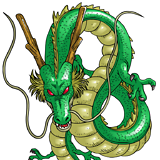 What is the name of this Dragon Ball character? I bought this toy for my son. Came along with a character named Cell. Who would this character be? That's not Dragon Ball, I think. It looks like the Pokémon Rayquaza, actually. Notice the overall green, the little T-Rex-y arms, the golden pattern on the side, and the red edges on the rudder "separations" of his body. 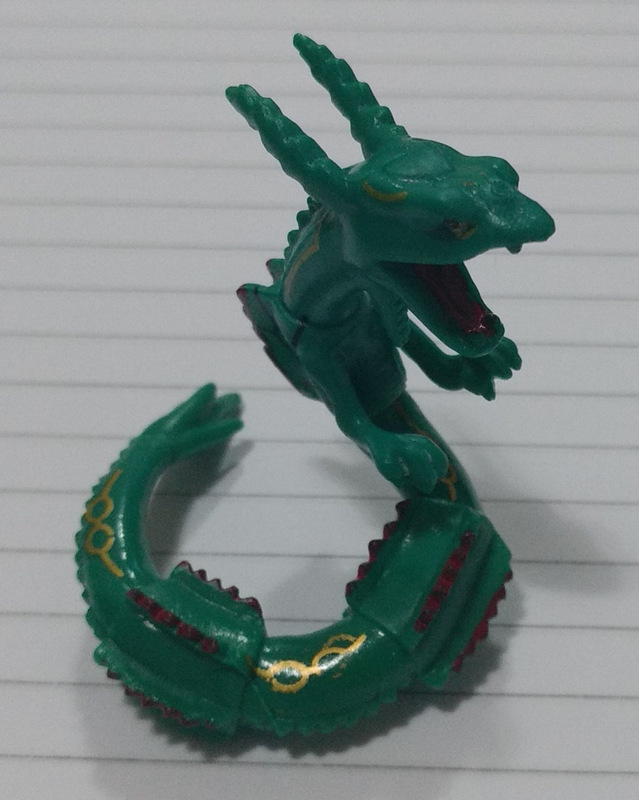 Granted, the toy looks a bit shorter and its "horns" are shorter (and parallel), but it still matches a lot of Rayquaza's features. 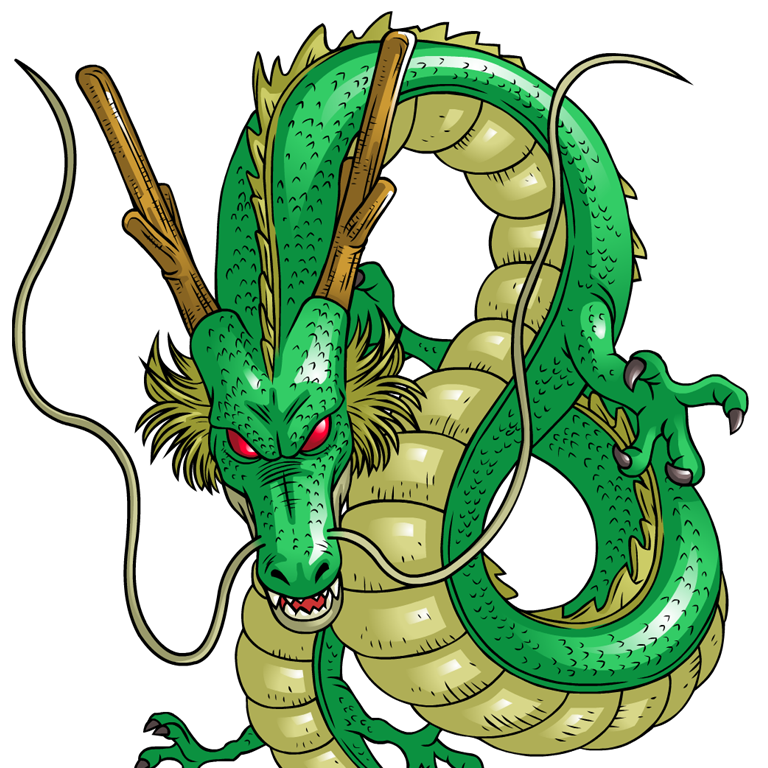 If it's a Dragon Ball toy, it can only really be Shenlong or Shenron, the dragon that puts the "dragon" in Dragon Ball. He is the magical dragon that is summoned by collecting all seven of the Dragon Balls. He has, like all good magical dragons should, the power to grant wishes. Your toy is not a particularly good version of it, though. 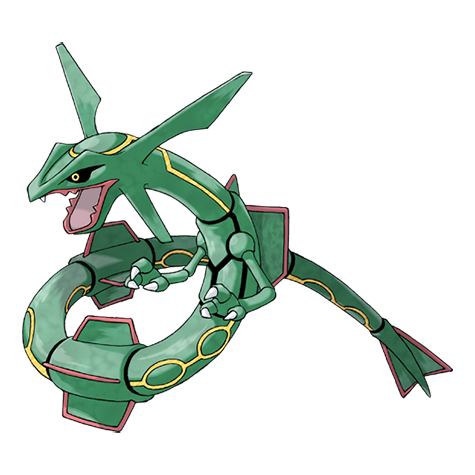 It does indeed share some characteristics with the Pokémon Rayquaza. It's possible that a lazy designer copied or re-used a design. Not the answer you're looking for? Browse other questions tagged character-identification dragon-ball or ask your own question. Is there an inconsistency in the fate of evil souls in Dragon Ball? Which Marvel Character is on this tie? What masked character is on this t-shirt? What happened to Shula after Dragon Ball and what happened to the golden blade?